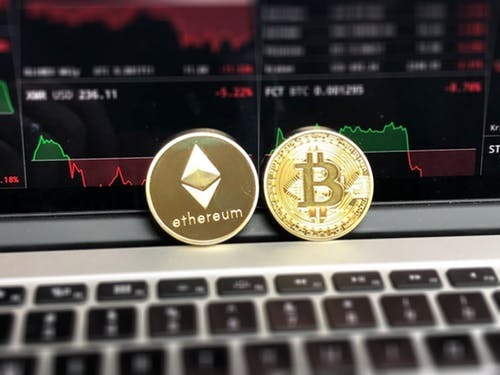 As blockchain technology and cryptocurrency markets continue to grow and mature, there will be a steady increase of capital coming into crypto markets. As such, there will also be a need to provide investment products and services dedicated for cryptocurrencies. Let’s take a closer look at some popular solutions for the crypto space: Cryptocurrency Index Funds. Before we dive deep into cryptocurrecy index funds, let’s start from beginning-What are index funds and how do they work? In traditional financial markets, an index is comprised of a portfolio of assets which represents the statistical change of the measured market. An index can be derived from a number of parameters such as price, market cap, and past performance. Examples of well-know stock indexes include Standard & Poor's 500 Index (S&P 500) , Dow Jones Industrial Average (DJIA), and the NASDAQ Composite. An index fund consists of assets allocated in the same ratio as the targeted stock index, with the goal of mimicking the stock index performance. For instance, the largest index fund in the world, Vanguard 500 (VFIAX), is constructed to track the performance of the S&P 500, and replicates its portfolio and asset ratios based on the stocks that make up the S&P 500. Are there benefits of using an index fund? How do the results compare with a similar portfolio actively managed by a professional? Index funds have shown to be an effective long-term strategy. According to NerdWallet, since 2000, index funds have generally outperformed actively-managed mutual funds due to the significantly higher expense ratio (management fees) from actively managed funds. Even Warren Buffet, one of the most successful investors of our time, said that “a very low-cost index is going to beat a majority of the amateur-managed money or professionally-managed money”. A performance comparison between the S&P500 Index and actively-managed hedge funds. Generally speaking, index funds tend to have better results compared to an actively managed portfolio when management fees and expenses have been accounted for. Index funds also help reduce company-specific risk by diversifying a portfolio into similar alternatives, thereby lessening the impact of a single volatile asset within the index. Although cryptocurrencies and digital assets are relatively new asset classes, the industry acknowledges the need for crypto portfolio management products and solutions. Within just the past few years, there has been rapid growth of crypto index fund offerings. Shrimpy is free to use - Sign up here. Once you’ve connected your exchange to Shrimpy, you’ll be able to create your custom crypto index in the Portfolio tab. Read about how to create your own crypto index here. Once your index or portfolio has been created, you’ll need to set your rebalance frequency, or how often you would like Shrimpy to perform trades to maintain your desired asset ratios. You can rebalance as often as every hour or once a month. It’s completely up to you. You’re All Set! Let Shrimpy Take Care of the Dirty Work for you!